An Eco-brick is a 2L bottle, stuffed to the brim with trash items that cannot be recycled. E.g chip packets, sweet wrappers, cling wrap, straws, laminated paper etc. Check with your local recycling depot as these items vary in terms of what can be recycled per location. An Eco-brick can be made by both young and old people. They help to clean up the streets, beaches, schools, churches & teach residents & students that although littering is unacceptable but we can still reuse the trash that we cannot be able to recycle. 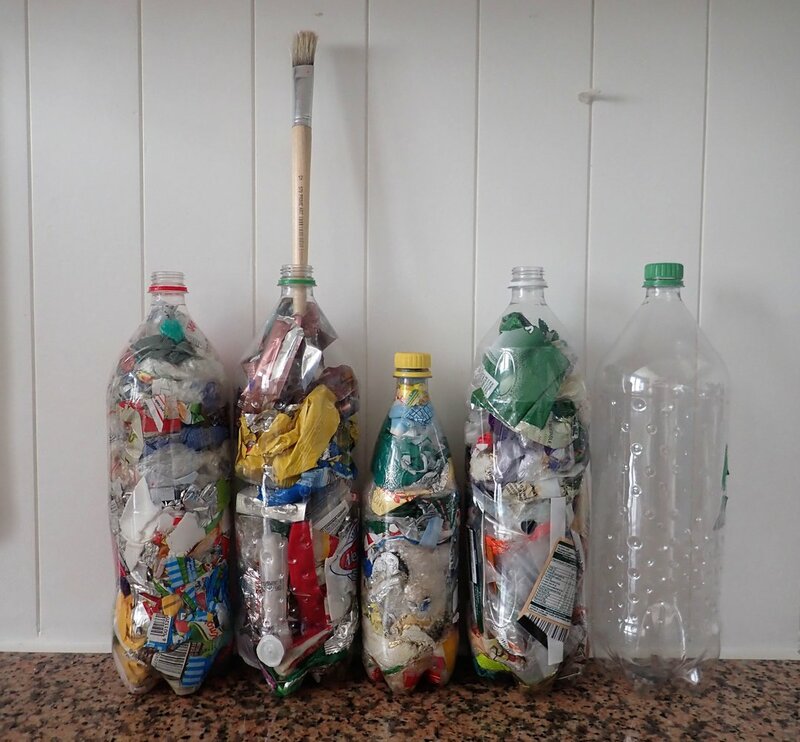 Making Eco-bricks will set the good example to everyone around your community. What do you need to create an Eco-brick? A large wooden spoon / wooden stick, to use to stuff in your filling. How to make your own Eco-brick? Twist your waste and insert into your plastic bottle and press it as tightly as you can with the end of your wooden spoon/stick. Keep adding until you see that the bottle can’t be squashed and close it with the lid. The recommended weight for these bottles once filled is approximately 500-600 grams. Once you finish you can drop it off at a local business partner or school. Alternatively, if there is no one to take it in your area you can just build you own furniture or décor item. They are mostly used to build houses, boats, benches etc.